This is our third year as headline sponsor for the Surrey Life Food & Drink Awards and we are delighted to continue to be part of a celebration of our county’s best food and drink offerings. We are often asked why we have chosen to sponsor an event that focuses specifically on the food and drink industry. 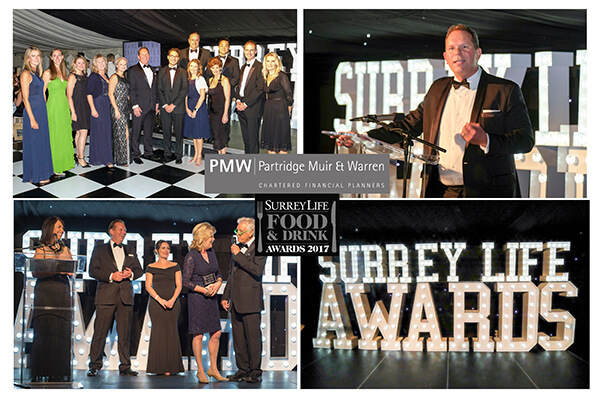 We believe that food and drink is such a vital part of our local culture and that by supporting these awards we can continue to support the establishments that make Surrey great. As Chartered Financial Planners we also understand the importance of carefully selecting the perfect ingredients to create a winning portfolio. We create bespoke recipes for each and every one of our clients and, just like the nominees, we know that it takes time and effort to provide an award-winning service. 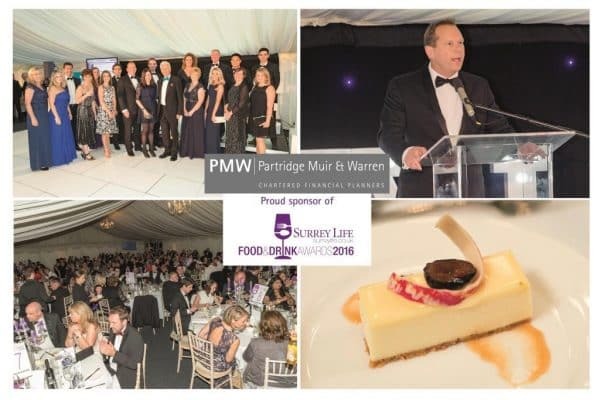 One of the top foodie events in the Surrey calendar, the Surrey Life Food and Drink Awards champion the great and the good of our region’s food and drink industry. From local producers and suppliers to the best chefs, restaurants, pubs and hoteliers, the awards recognise the very best and we are delighted to be headline sponsor again this year. To nominate someone for the awards, click here.